Is Twenty-First Century Fox Inc (NASDAQ:FOXA) a bargain? Prominent investors are becoming less confident. The number of bullish hedge fund positions retreated by 3 recently. Our calculations also showed that FOXA is among the 30 most popular stocks among hedge funds, ranking 30th. FOXA was in 70 hedge funds’ portfolios at the end of the fourth quarter of 2018. 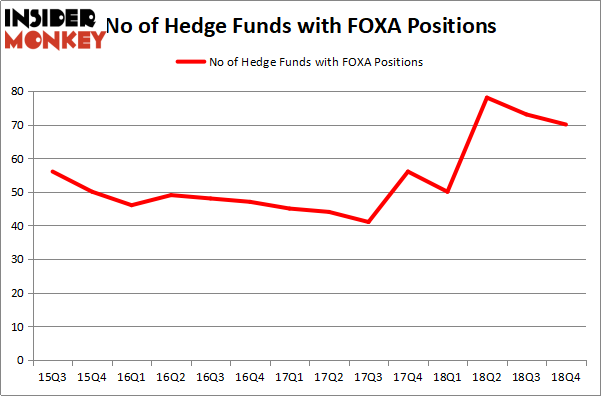 There were 73 hedge funds in our database with FOXA positions at the end of the previous quarter. We’re going to take a look at the fresh hedge fund action regarding Twenty-First Century Fox Inc (NASDAQ:FOXA). At the end of the fourth quarter, a total of 70 of the hedge funds tracked by Insider Monkey held long positions in this stock, a change of -4% from the second quarter of 2018. Below, you can check out the change in hedge fund sentiment towards FOXA over the last 14 quarters. So, let’s review which hedge funds were among the top holders of the stock and which hedge funds were making big moves. 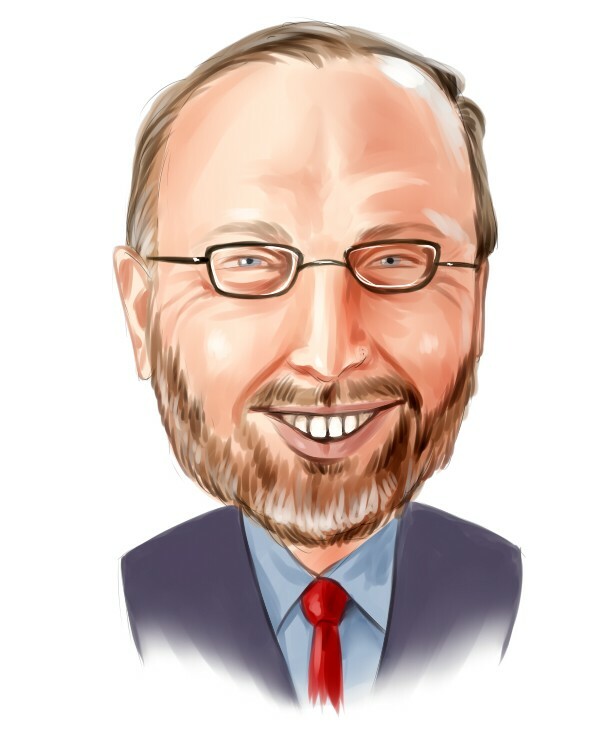 Because Twenty-First Century Fox Inc (NASDAQ:FOXA) has faced declining sentiment from the aggregate hedge fund industry, it’s easy to see that there was a specific group of hedge funds that decided to sell off their full holdings last quarter. Interestingly, Jim Simons’s Renaissance Technologies sold off the largest position of the 700 funds followed by Insider Monkey, comprising about $337 million in stock, and Richard Gerson and Navroz D. Udwadia’s Falcon Edge Capital was right behind this move, as the fund sold off about $81 million worth. These moves are intriguing to say the least, as aggregate hedge fund interest dropped by 3 funds last quarter. Let’s now review hedge fund activity in other stocks similar to Twenty-First Century Fox Inc (NASDAQ:FOXA). These stocks are Stryker Corporation (NYSE:SYK), Mondelez International Inc (NASDAQ:MDLZ), Automatic Data Processing (NASDAQ:ADP), and Eni SpA (NYSE:E). This group of stocks’ market caps are similar to FOXA’s market cap. As you can see these stocks had an average of 34.5 hedge funds with bullish positions and the average amount invested in these stocks was $1357 million. That figure was $9865 million in FOXA’s case. Mondelez International Inc (NASDAQ:MDLZ) is the most popular stock in this table. On the other hand Eni SpA (NYSE:E) is the least popular one with only 7 bullish hedge fund positions. Compared to these stocks Twenty-First Century Fox Inc (NASDAQ:FOXA) is more popular among hedge funds. Our calculations showed that top 15 most popular stocks among hedge funds returned 19.7% through March 15th and outperformed the S&P 500 ETF (SPY) by 6.6 percentage points. Unfortunately WFC wasn’t in this group. Hedge funds that bet on WFC were disappointed as the stock lost 13.3% and underperformed the market. If you are interested in investing in large cap stocks, you should check out the top 15 hedge fund stocks as 13 of these outperformed the market.